After brewing for over 15 years one starts to settle on recipes and sources of ingredients that just work. These recipes have one thing in common….Simplicity. Don’t get me wrong, I am still creating new and tasty brews. 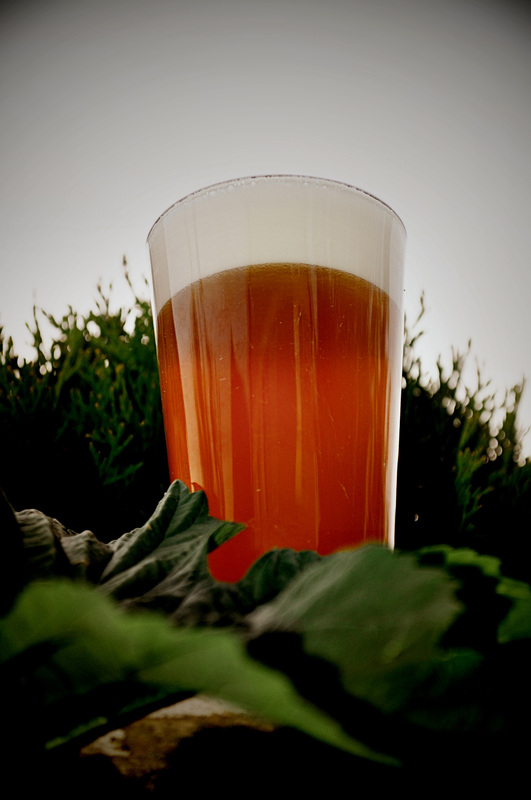 But the number one brew that keeps beckoning is the “Culdee IPA”. First crafted 6 years ago and named shortly thereafter once the seal of approval was granted, of course by my faithful QA testers. This devoted set of followers were found living in surprisingly close proximity to the brew kettle and tasting room a.k.a. –my neighbors in the cul de sac. They have stood by me, rain or shine…sometimes lined up, but always willing to test a batch of the fresh Barley Pop. The Culdee IPA, with two types of Barley and two types of Hops, has a relatively short ingredient list. Yeast and water are a must. But you knew that, my fellow fermenting friends. What makes this and any great IPA really stand out is the fresh citrus aroma. This is accomplished by finishing the brew process off by ‘dry hopping’. For this I use the Cascade hop which is known for its spicy and citrusy profile and most prevalent in PNW beers. Dry hopping is a two week extension of the brewing process where the beer sits on fresh cascade hops. No boiling, just steeping at room temperature. Sure, it takes a bit longer and a bit of discipline (not to quickly keg up the fine tasting creation), but well worth the wait! As my QA testers can attest. Dry hopping this beer and any Pale or IPA for two weeks is like adding a ray of sunshine to your pint on an otherwise dreary Seattle day. In the Land of the Hop…..Cascade is King! …………. For a Pacific NorthWest IPA that is. Many thanks to the USDA and Oregon State University hop breeding program for the introduction of the cascade hop and of course to my faithful QA testers.